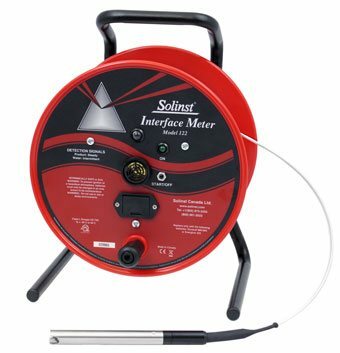 Solinst Model 122 Interface Meters are easy-to-use and give reliable, accurate measurements. A steady tone and light indicate LNAPL or DNAPL. Intermittent signals indicate water. Solinst laser marked PVDF flat-tape is available in lengths up to 1000 ft or 300 m. The PVDF Flat Tape is considerably more durable and easier to decontaminate. The NEW Mini 122 Interface Meter now holds 80 ft or 25 m of laser marked PVDF cable on a convenient small reel. It offers long battery life with only one standard 9V battery, giving 300 hours or more of normal use before the battery needs changing. Double Valve Pumps are positive displacement gas drive pumps that provide high and low flow groundwater sampling, without the use of a bladder. Representative groundwater samples are produced, ideal when sampling for VOCs and PFAS.